Today ArenaNet has announced Mist Champions, an all-new element for the Stronghold PvP mode set to debut in Guild Wars 2: Heart of Thorns. 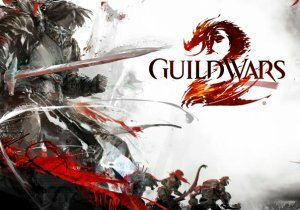 Stronghold brings a new competitive experience to Guild Wars 2, introducing a PvP mode rich with lore where players fighting as pirates or knights infiltrate enemy lines and try to kill the enemy lord. The addition of Mist Champions fundamentally alters the gameplay associated with this power struggle by allowing combatants to purchase highly specialized champions which can be summoned to turn the tide of battle. A blog post from Game Designer Branden Gee and Stronghold Game Designer Hugh Norfolk offers more details about Mist Champions and each of their abilities, which include war cries, passive skills and elite skills. The post is live on the official Guild Wars 2 website linked here. Today, The Secret World celebrates its 4th anniversary with a collection of events and goodies for players to enjoy. Tribal Wars has begun the Knockout Phase for its International Speed Championship 2012.